TIANJIN / BEIJING - The Tianjin Maritime Court has accepted a lawsuit against ConocoPhillips China on behalf of fishermen claiming compensation for effects of the oil spill in Bohai Bay. Lawyer Zhao Jingwei is asking the oil company to pay 490 million yuan ($77 million) for economic damage to the 107 affected fishermen in Laoting county, Hebei province. The amount of the compensation was determined from the fishermen's calculations, and further calculations for compensation will be made by a professional assessment agency, Zhao told China Daily on Tuesday. 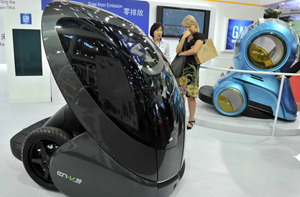 Unlike the earlier lawsuits against the oil spill, Zhao said the lawsuit has been under preparation for several months. According to the State Oceanic Administration and the Ministry of Agriculture, the oil spill in June in the Penglai 19-3 oilfield reached the coastal cultivation area. On Nov 11, the ocean watchdog said that the incident, polluting 6,200 square kilometers - an area roughly nine times the size of Singapore - was due to ConocoPhillips China not following its development plan for the oilfield's two platforms in Bohai Bay, which affected the stability between layers under the seabed and triggered the spill. According to sample testing from the Ministry of Agriculture in July and August, drops of oil in the coastal areas in Liaoning, Hebei and Tianjin were the same as oil from the leak. 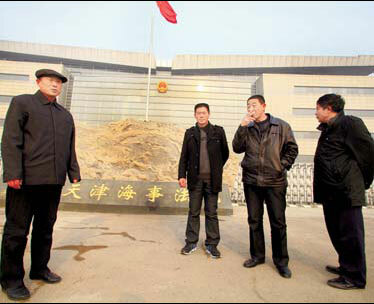 It is now the polluter's responsibility to prove the pollution has no connection with the victims' losses, Zhao said. Many affected fishermen suffered losses and were waiting for a solution for their damages. Xun Shaobin, 58, one of the 107 fishermen in Laoting, told China Daily that they started finding scallops and sea cucumbers dead at the end of June - just after the oil spill - and about 70 percent of them died during July. The rest simply stopped growing. 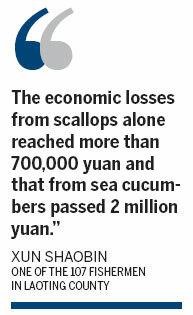 "The economic losses from scallops alone reached more than 700,000 yuan and that from sea cucumbers passed 2 million yuan," Xun said, adding that they were not able to fill any orders this year due to the incident. Fisherman Wang Aiwen, also from Laoting, noted that he lost about 500,000 yuan from the death of sea cucumbers this year and has to wait until after winter and then buy new equipment to treat oil pollutants with compensated money. With the large numbers of deaths and the official reports from the ministries, the lawsuit has enough material to be filed, Zhou Ke, dean of Environmental Law Department of Law School of the Renmin University of China, told China Daily on Tuesday. "Accepting the suit is just normal," Zhou added. Wang Huiran, from the lawsuit service center of the Tianjin court, said the case is undergoing a process of pre-trial investigation.